EXPERTISE is a European Training Network (ETN) that will contribute to train the next generation of mechanical and computer science engineers with a common basic knowledge on the challenges, the paradigms, the technologies and the methodologies in the field of nonlinear structural dynamics of turbomachinery and High Performance Computing. 15 Early Stage Researchers (ESRs) will be recruited by the Beneficiaries of the Consortium. Each ESR will be in charge of one individual research project, under the supervision of advisors from both the Academia and the Industry. Training will be provided to the recruited ESRs by a balanced approach, which includes both training through research and training through education focused on both hard and soft skills. The ultimate research objective of EXPERTISE is to develop advanced tools for the dynamics analysis of large-scale models of turbine components to pave the way towards the virtual testing of the entire machine. EXPERTISE project has received funding from the European Union’s Horizon 2020 research and innovation programme under grant agreement No 721865. 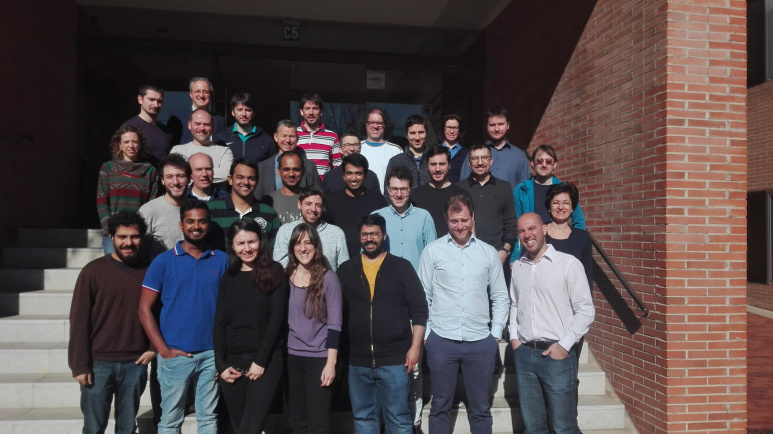 From Feb 11 to February 14, the Mid-Term Meeting of the EXPERTISE Project took place in Barcelona (Spain), at the Barcelona Supercomputing Center (BSC).